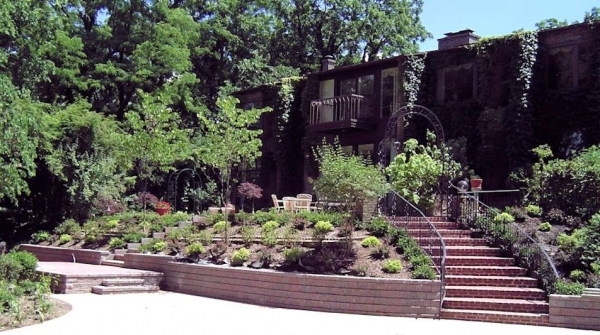 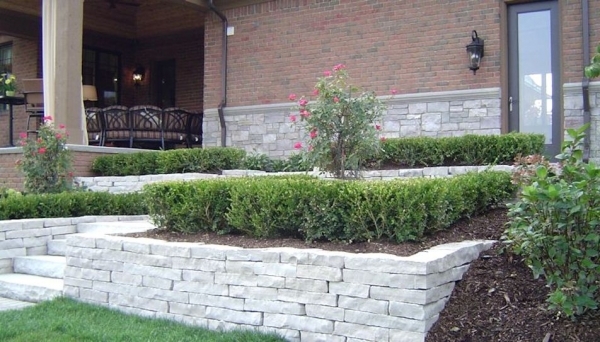 A retaining wall may just be the design element that your landscape needs. 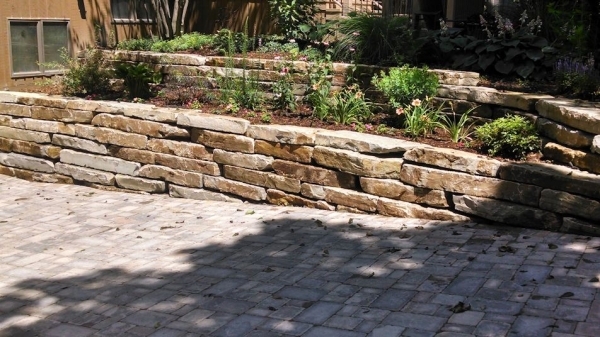 Commonly seen but rarely considered, retaining walls are a great way to hold back soil and creatively facilitate the sloping of your yard. They have many uses other than these, including planters, steps, raised patios and more. With more than 75 years of combined experience installing retaining walls, Hardscape Solutions can easily incorporate one into your yard! Installing a retaining wall can be a complex operation, so it’s better to trust the professionals. 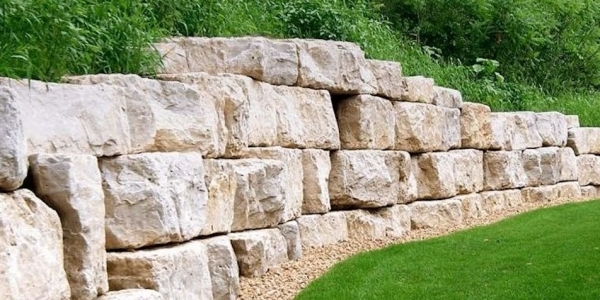 While it may look as if you’re simply stacking stone around the area in which you wish to retain, there are a lot of factors that go into creating a retaining wall that lasts. 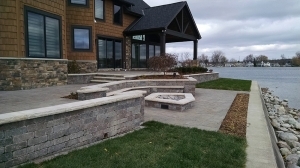 Hardscape Solutions will thoroughly evaluate your property and recommend the best overall option. Our recommendations take into account the existing soil conditions, base material, drainage, backfill and geogrid reinforcement. 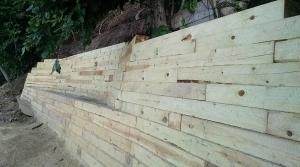 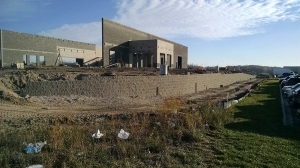 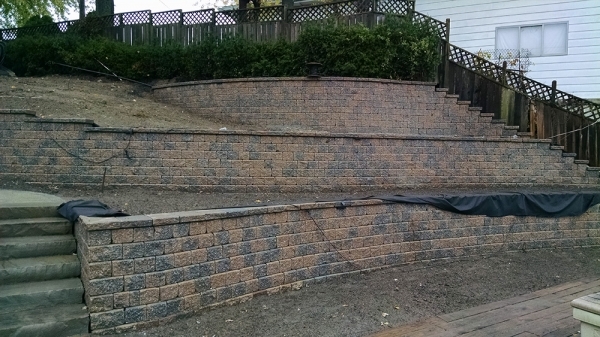 In addition, we work with qualified engineers on a regular basis for more complicated retaining wall systems! 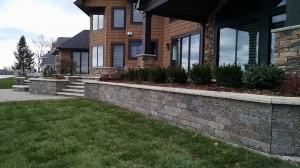 No matter your retaining wall needs, we can create a customized solution that both looks fantastic and stands the test of time. 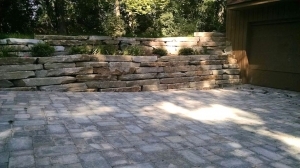 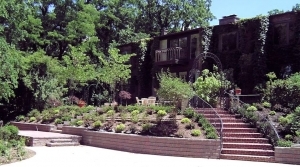 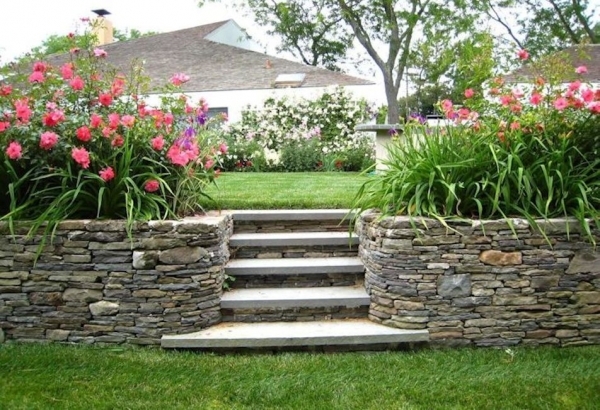 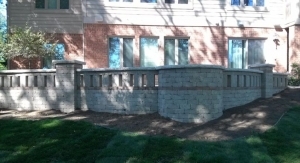 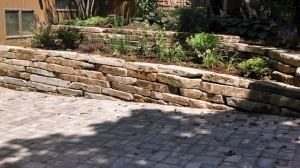 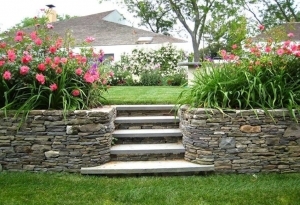 Incorporating your retaining wall into your outdoor living space is a great way to combine functionality and beauty. 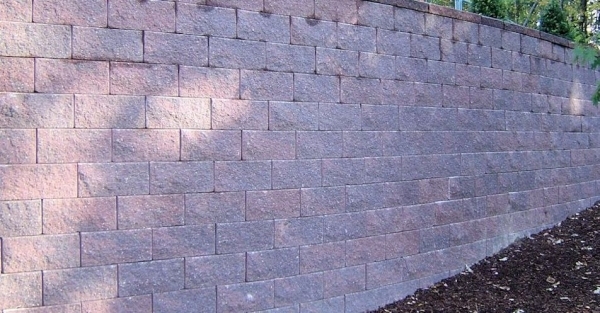 While the name “retaining wall” implies simply holding back dirt or landscape elements, it doesn’t mean that is its sole purpose! Incorporating your living space and your retaining wall can add grandiose looks to your backyard, as well as providing a steady foundation to build upon. 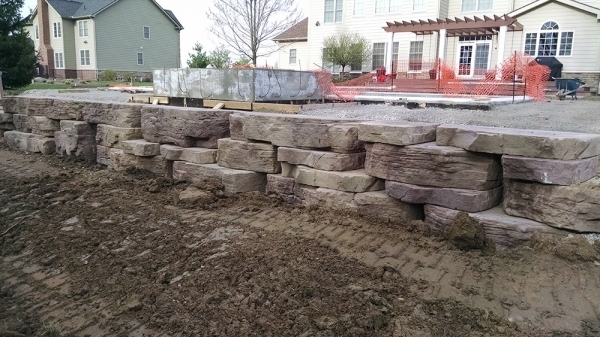 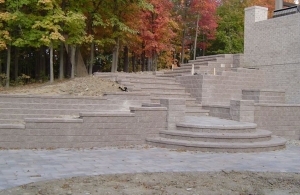 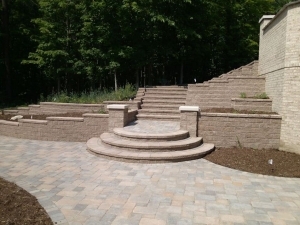 At Hardscape Solutions, we don’t just stop at building reliable retaining walls. 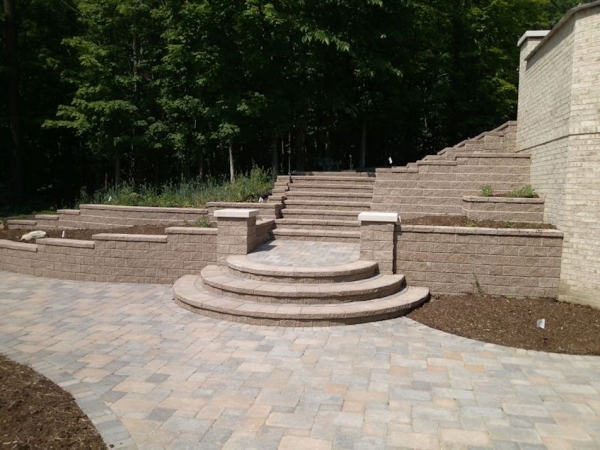 We have a staff of design experts that are happy to help you create a seamless design, whether that means adding a retaining wall to your current outdoor living space or building upon an existing retaining wall. 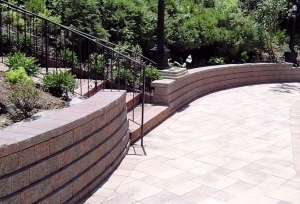 We can create all sorts of designs, whether you need the wall to be curved, straight, tall or short. 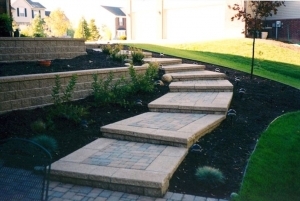 Simply let us know what you’re picturing and we’ll show you what we can do. To learn more about how a retaining wall can change the look of your backyard, contact Hardscape Solutions today!